A retired cleric, Rev. Timothy Fasipe, who was ex-President Olusegun Obasanjo’s pastor at Owu Baptist Church, shares the story of his life with TOLUWANI ENIOLA of Punch. I am a native of Oyo town in Oyo State. I was born on January 7, 1937. I attended Baptist Day School in Oyo. I then proceeded to the Local Authority Teachers’ Training College in Oyo town. I also attended the Ondo-Oyo Joint College for my Grade 2 certificate. I became a teacher in one of the primary schools. In 1974, I got admission into the University of Ibadan to study Yoruba. I graduated from the premier university with a bachelor’s degree. After my graduation, I was posted to Abiodun Atiba Memorial Grammar School where I taught before I was promoted to the position of vice principal at Anglican Grammar School, Ife-Odan, Osun State. Why did you decide to study Yoruba? I was determined to go for it. I realised later that studying Yoruba was beyond speaking the language. It was a rewarding experience for me. The way God called me was dramatic. We had just left the Nigerian Baptist Convention at Ogbomoso in 1983. I used to drink alcohol a lot in those days. During the convention, I took one carton of beer. I was even asking for more beer to drink thereafter. On a particular day during the convention, as we were about starting the second session, a pastor came to me and said God sent him to me. He said, “God sent me to you. Oga, why don’t you go to the seminary?” I said, “Seminary? God did not send you to me. You must have made a mistake.” He said he was sure. I said no. Then he asked for my contact address which I gave it to him. He left. My friends and I began to make jest of the man, saying he didn’t have something to do. We continued drinking our beer. After the convention, the man obtained the form to the seminary and posted it to me. When I got the letter, I saw the word “seminary” on the letter head. The only reason I opened the letter was because I was the secretary of the Oyo Baptist Association at the time. I though the letter was meant for the secretary and not directly sent to me. When I opened it, I saw a form to join the seminary. I threw the letter away. After some months, we had a revival in our church, Ife-Oluwa Baptist Church. I was asked to take the guest revivalist from his home to the church. That day I got about four cartons of beer as gift. I told my friends that immediately we finished the revival, I would take the pastor home and come back to enjoy the drink. Something unusual happened as the revival was going on. As the revivalist said, “Close your eyes and let us pray,” I transcended. I saw that I was no more in the church. Something picked me up. I was hanging up in the air. The place was so beautiful that I said I would not go back to the church. As the revivalist was saying, “In Jesus name we have prayed,” I gained consciousness. From a corner of the church, something flew headlong towards me. When it got to me, it raised up its head. I said, “My Lord and my God.” These words I uttered coincided with the final “amen” by the congregation. I opened my eyes. I took the revivalist home. I had told my friends that I would come back for the booze. But as I was driving to go and meet my friends at the bar, I realised that I was not in control of my car any longer. I didn’t know how I got home. When my wife saw me, she said, “Why so early?” It was unusual for me to come home around 9 or 10pm. I didn’t answer her. I sat on a chair. I became so displeased with myself. I was asking myself where I developed the love for alcohol. When I went outside, I saw an empty bottle of beer. In anger, I broke the bottle. I went to the bathroom and slid my finger into my throat. I felt like vomiting all the alcohol I had taken all my life. Since that that day up till now, I don’t drink. I cannot bear the smell of liquor again. Later, that Spirit asked me to look for the form I threw away. I didn’t even know where I dropped it. Finally, I saw it. I filled the form and sent it to the seminary. What was the reaction of your friends? I thought I was an ordinary man like them. They came to my house to inform me of a christening ceremony. I stood up to follow them. But one of them said, “Don’t stand up. You are no more part of us. You cannot go where we are going because you cannot drink.” I was trying to follow them but they stopped me. That marked the end of my relationship with them. How did you feel when you got your letter of admission to the seminary? As I was trying to break the news that I would be going to the seminary, I got a letter of promotion to become principal. I was asked to go to Owu Community Grammar School. I didn’t even bother to go to the Ministry of Education to collect the letter. I knew the letter was one of the tricks of the devil so that I would ignore God’s instruction. I was almost 50 at this point. I celebrated my 50th birthday in the seminary. How would you compare pastoral trainings then and now? The training I got was proper. The quality of training pastors get these days cannot be compared with what we had in our days. Immediately I got into the ministry, I became concerned about the state of churches in Nigeria. My first shock was the speed at which churches were springing up. I told somebody at Abeokuta then that in the next 10 years, we would get a church whose name would be a complete sentence. I said to my friend that later, some churches would be called “Orukotan” (roughly translated means name has finished). What puts you off about churches in Nigeria? Immediately I got to Lagos, after leaving Ogun State, I asked a man to join our church. The fellow was a Muslim. He said no. He said he preferred to die a Muslim. He told me he once saw a black ram buried on a land. A few days later, a church began to construct its building on that land. That was his reason for not giving his life to Christ. It’s so bad that some people are burying human beings these days instead of rams. I was the Secretary of the Christian Association of Nigeria in Ogun State. When I relocated to Lagos, I attended a meeting of CAN in Lagos. At that meeting, I was told that the tenure of the CAN president had expired. They wanted to elect another president. But the president said no, that he was not ready to leave office. And this same CAN president had “only” four wives. Imagine a Christian leader with four wives. It got to the point that the fellow was even trying to use charms. That was the first and last meeting of CAN that I attended in Lagos. Many of these people are not really Christians. But some believe polygamy is not wrong going by cases recorded in the Old Testament? I call those people verse stealers. They only take the Bible and pick one verse. You have to read about 20 verses before and after a verse to know what God is saying. If God wanted a man to have more than one wife, he would have created more women for Adam. But he gave him only one. How can a man and two or three women become one flesh? It’s not possible. How did you meet former President Olusegun Obasanjo? I met Obasanjo first in 1955. I was teaching then. In the Nigerian Baptist Convention every year, we always had holiday bible school. During that period in our secondary schools, they would post pupils from Abeokuta to Sokoto, Kano, and other places for the two-week duration of the programme. In that year, they posted Onaolapo Soleye and Obasanjo to Aatan Baptist Church, Oyo. The first child of my grandmother is the wife of Soleye, more or less the father of Onaolapo Soleye. When they posted them to Oyo, that older Soleye brought Obasanjo and the younger Soleye to live with my grandmother. Obasanjo was in the secondary school then. After the two weeks, we parted ways. When I came back from the seminary, people were calling me to pastor their church. Owu Baptist Church (Obasanjo’s church) told one Prof. Imasogie that they were looking for a pastor for their church. They had some challenges in the church. He told them that I would be a good pastor for the church. That was how I was transferred to Owu, Obasanjo’s town. When I got there, initially they were calling me Obasanjo’s pastor because it was Obasanjo and one Deacon Odesina that went to Imasogie to request for a new pastor. The other people wanted another pastor and not me. I got to the church in 1988, that was 29 years ago. What kind of church member was Obasanjo? He was a very committed member. The only challenge he had was his busy schedules. When I was at Owu, he volunteered to be the Sunday school teacher. At this period, he had served as military president. He is still a Sunday school teacher in the church he attends. Obasanjo hates church politics and gossips. If you went to him to say, “Mr. so and so said this and that about you,” he would give you a coke to drink. He would quietly leave you and call the person you came to talk to him about. While you are still drinking, the person you accused would come and meet you. He would then tell you, “Can you repeat what you said about this man?” Once Obasanjo knows you are telling lies, he won’t associate with you anymore. I am saying this for the first time. I did not even tell Obasanjo or even my wife. 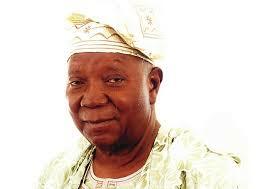 I decided to go and pray with Obasanjo about his presidential ambition in 1999. When I got to Ota, the Spirit of God told me that one of the close allies of the late MKO Abiola, who was working with Obasanjo (names withheld), was evil. I could not tell Obasanjo. If I told Obasanjo that the man was evil, he would call the man in my presence and say, “my pastor said you are evil.” I told God that if the man was truly evil, He should expose him before he executes his plans. He was planted to kill Obasanjo. God exposed him and he was eventually arrested. Obasanjo then said, “I have been living with evil.” I am happy God answered my prayers. Your predecessor was sent away at the Owu Baptist Church. Is it true that Obasanjo beat the pastor? No, he didn’t. He fears men of God and he would not do anything like that. It was even Obasanjo that helped to pacify the church members when he came to apologise to the church. The pastor was accused of diverting and misappropriating the church fund. What role did you play at the time Obasanjo’s administration was accused by some state governors of withholding their funds? I visited him in Abuja when the issue was getting hot. I was in the room with him and Prof. Jerry Gana. I told him one proverb in Yoruba. I said if one wants to sell corn to a blind man, one needs to whistle so that the blind man would know that one is not eating out of his corn. I said, “When you give money to the governors and you don’t announce it, nobody would know whether you gave them money or not.” I advised him that henceforth, whenever he released the money, he should let the media publish it. When he took to my advice, the noise the governors were making went down. Was there any advice you gave him that he did not listen to? During one of my trips to Abuja, I met three federal ministers at Obasanjo’s waiting room. The ministers came late but he attended to them first. When they came out, right in our presence, they started saying nonsense. One said, “Look at what he (Obasanjo) said. Will you do that one?” Another one said, “If you do it, you will be so starved that your fingers will enter a bottle.” Another one said, “Obasanjo is not ready to chop government money. But we are ready to eat something.” When they left, I went in. I did not tell him directly what the ministers said. He was just lamenting that if he knew this was how bad the situation was, he would not have accepted to be president. At that stage, it was beyond my calling to tell him how to run the government. At 80, what are the secrets of your good looks? As I was growing up, I depended on God. I don’t keep malice. I can get annoyed but once I express my grievance, I move on. My wife knows all the things I like. She serves me good food. When I’m annoyed, she will quickly cook gbegiri (beans soup). Once the gbegiri is on the table, no matter the offence, the annoyance is gone. I still drive at 80 within Ibafo. The woman I initially wanted to marry was impregnated by another man. That was how we parted ways. My wife was my student in the modern school. I was a teacher then. I was the games master. She was an athlete. There was an athlete known as Ronke Akindele. Akindele was among the first set of athletes that represented Nigeria at the Olympics in 1968. She is from Oyo state. Nobody could beat her in 100 and 200-metre races. She was in the modern school in Oyo. During the inter-house sports competition for Oyo division, Ronke beat my wife in 100-metres race. My wife beat her in 200-metres race. Ronke burst into tears because nobody had ever beaten her in the race. I admired her as a student. In class, whenever I taught arithmetic, she was among those who quickly understood the subject. God has been faithful to me. The house I live in now was built within three months. By the time we started, I didn’t have any money in the bank. God has been good to me in all ways. You witnessed Nigeria’s independence in 1960. What were your dreams for Nigeria? All the dreams we had have been blown away. Things did not turn out the way we thought it would. During the independence, all the schools in Nigeria, no matter how small, were well funded. In 1960, I was headmaster at a primary school. They gave us money and independence cups which went round for the students. Then, we said if we could enjoy this during independence, things would change for better. Unfortunately, the opposite of our dream is the case now. The people were not well consulted when they wrote the constitution. When we were growing up, life was fairly easy. I remember that we bought our television then for N550 which is not even enough to eat these days. I bought my sewing machine for N78. Politicians and the military spoilt the country. How did you feel when Obasanjo attended the presentation of your book, Owe Lesin Oro? I cannot say specifically why. He told me that all the other pastors he knew were modern-day pastors but that I am like the pastors of the olden days. I don’t know why he said that. When my first son was getting married, he attended the wedding. When my other children were getting married, he didn’t come but he specifically sent letters of apology on why he could not attend. I remember sometimes ago when one of his daughters was getting married. As the father of the bride, he was supposed to be receiving guests after the wedding but he didn’t. Immediately we left the church, I saw that he had disappeared. I became worried. I asked him where he was going. He said he had an urgent assignment in one of the West African countries. I said, “But today is your daughter’s wedding.” He just shrugged and went away. During the apartheid regime, Obasanjo was a believer in African juju. He once said they should go there with juju and fight the white people. As his pastor, do you think he is a changed man? When you watch boxing matches, the boxers engage in a war of words to show their strength. When he was saying they should fight (whites in South Africa) with juju, he was merely engaging in a mind game. He does not have any juju. God has given him that courage and know-how. Even now, I don’t think you can see him with any juju. I remember one time that someone brought one juju for him for protection. He used the juju to hit the person’s head. He is close to God. When you move closer to him, you would know better.